One of my summer goals was to visit the Charles Schulz museum in Santa Rosa, and last week I was fortunate enough to get the chance. The museum does one of the best jobs I have ever experienced in chronicling the life and work of one of our greatest heroes, and in presenting many of the details of his life that most of us would never have known. 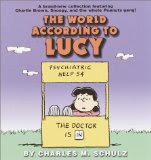 We all know that Schulz had a dark side, which ironically he incorporated into his humor to create characters and situations that no doubt would have been less funny in the hands of someone without this sensibility. Who else could have rendered cartoons on subjects such as mental and physical illness, failure and even ridicule in relationships and sports, and ultimately the loneliness of the human condition, with such wit and finesse. But what struck me most about Schulz was his fortitude. 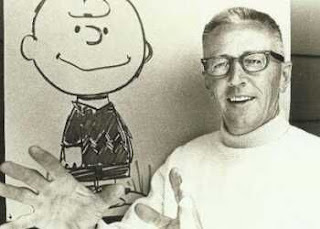 He received many rejections before getting his first gig, a cartoon in the Saturday Evening Post, which led to his ultimate national Peanuts syndication deal and international success. He even had a special exhibit at the Louvre Museum in Paris during the height of his career, and his infamous dog Snoopy was used by NASA as a mascott for the space program safety campaign in the late 60's. He did not have the greatest self-esteem, and yet kept pursuing his calling because he felt that drawing cartoons was indeed his calling - even on letters home and to friends while he served in World War II, he drew sketches of army life that were a hint of things to come, although interestingly the only adult sketches I had ever seen by him. He continues to earn in the millions, even after his death. Schulz, or "Sparky," is a great testament to the strength of the American spirit, the power of entrepreneurism, and the value of being able to laugh at ourselves, even in the toughest of times. If there was ever a time when we needed to affirm our humanity, laugh at our imperfections and foibles, and keep going despite it all, it's now. Remember, Charlie Brown was often the only one who stayed to finish the baseball game in the rain, long after the rest of the gang had gone home.